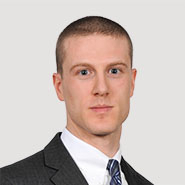 In this ABI Journal article, Young Conaway Bankruptcy attorney, Ian J. Bambrick, along with Delaware attorney Patrick A. Jackson, discuss the split of authority whether a debtor-lessor’s “free-and-clear” sale of real property under § 363(f) of the Bankruptcy Code can divest a non-debtor lessee of its possessory rights under § 365(h). The majority of courts and commentators reason that §§ 363(f) and 365(h) are in conflict, and that the latter must control because it is more specific. The authors side with the minority approach, adopted by the Seventh Circuit Court of Appeals in 2003 and earlier this year by the Southern District of New York, which harmonizes the provisions, together with § 363(e), to conclude that a lessee can be divested of its possessory interest unless it requests (and demonstrates an entitlement to) adequate protection of such interest from the bankruptcy court under § 363(e). A recent SDNY decision is used as a platform to respond to much of the criticism that has been leveled against the Seventh Circuit’s approach, by courts and commentators alike, over the last decade.